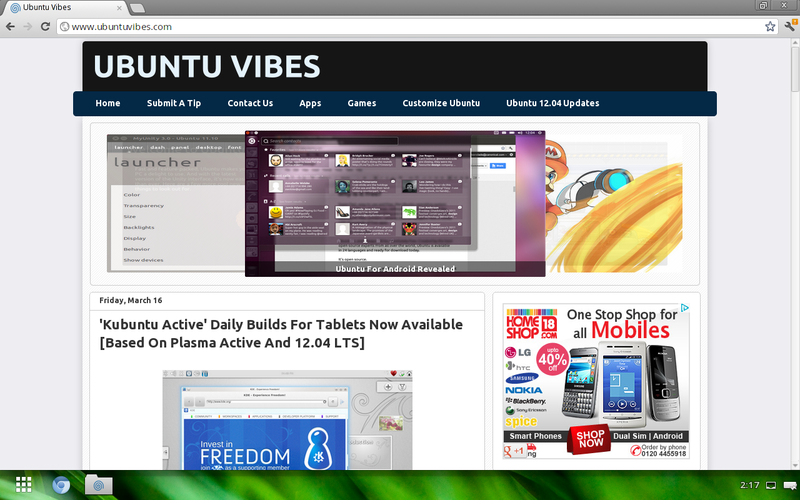 Chromium OS Lime builds have been updated and now they have new Aura based interface as well. I am not exactly sure when but they must have got new Aura backend with platform 18 release. Hexxeh's Chromium OS Vanilla builds are updated daily and they already have Aura Window Manager for quite some time now. If you were waiting to try the new Aura based Chromium OS desktop, this is the right time as Lime builds come with extra hardware and java support. Just grab latest Chromium OS Lime build by Hexxeh from here, make a bootable USB stick and you are ready to go.